It's time to cook and enjoy each others company. What better way to enjoy the holidays than creating great food with sisters. 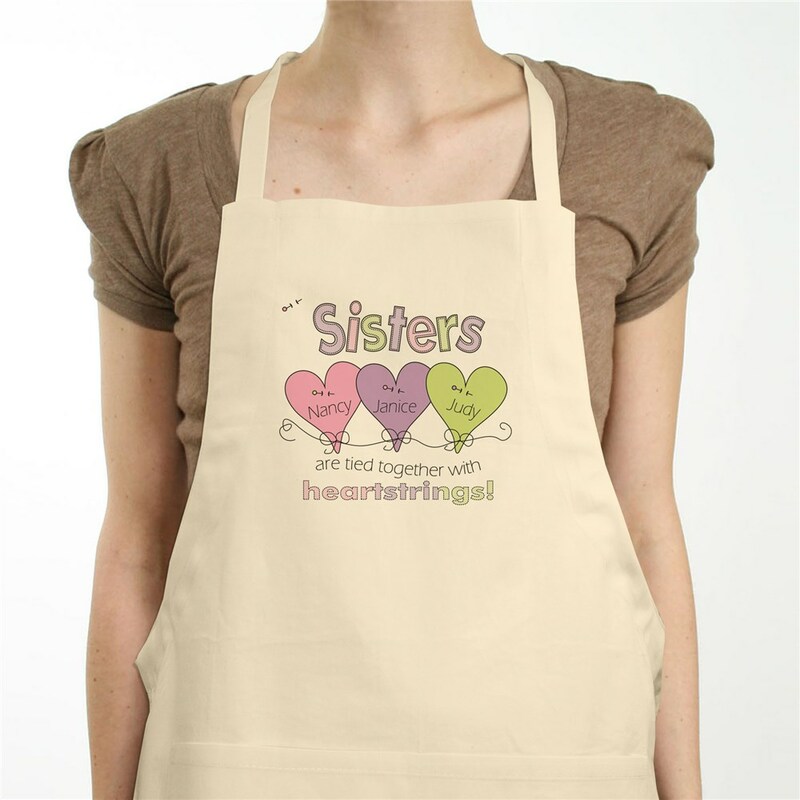 Personalized Aprons can have up to 6 Sisters names. 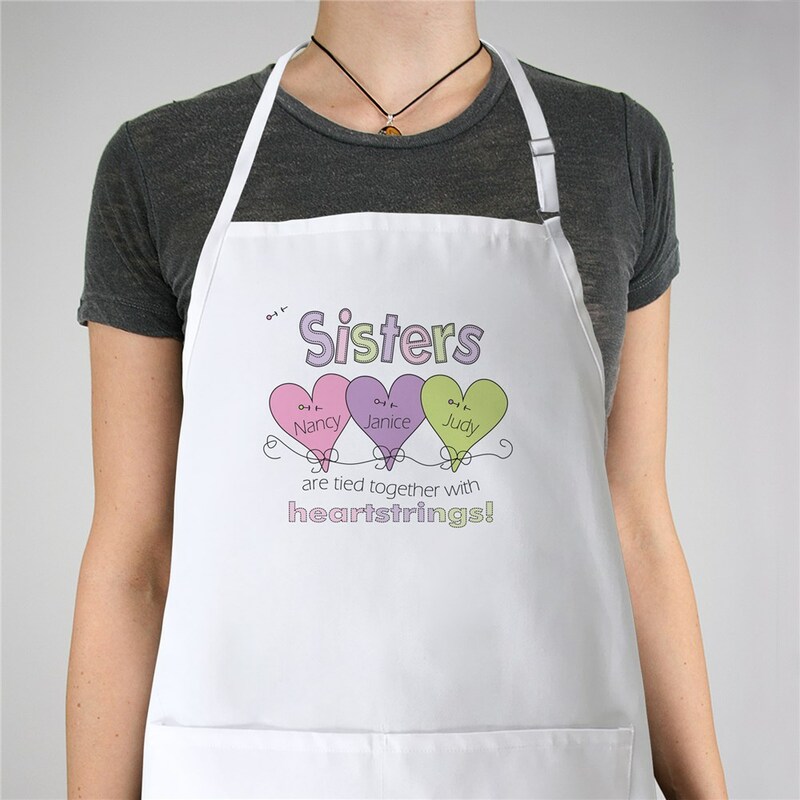 Our Personalized Hearts Strings Aprons make perfect gifts for any holiday, birthday or special occasion. Buy the perfect personalized apron for her. Personalized apron for my sister's birthday was very nice. She commented that the material was heavy which she liked, not cheap feeling. I'll be buying another for my other sister.